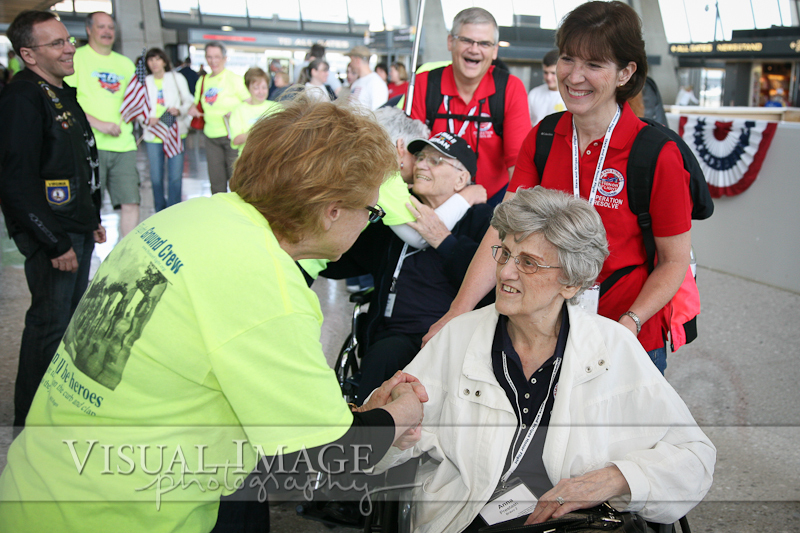 Weddings by VIP: "Honor Thy Father and Thy Mother"
On the June 2, 2012 Stars and Stripes Honor Flight, I met Randy Prestash. 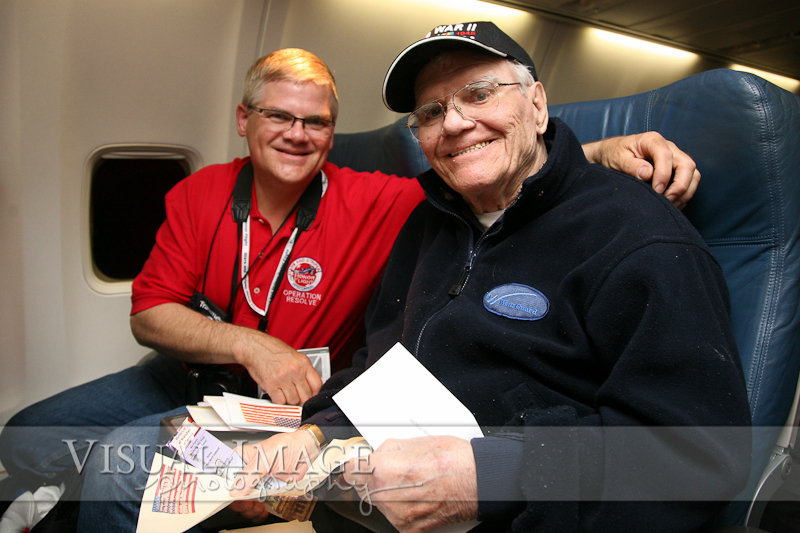 He and his wife were the guardians on that flight for Randy's mom and dad, Anna and George Prestash. 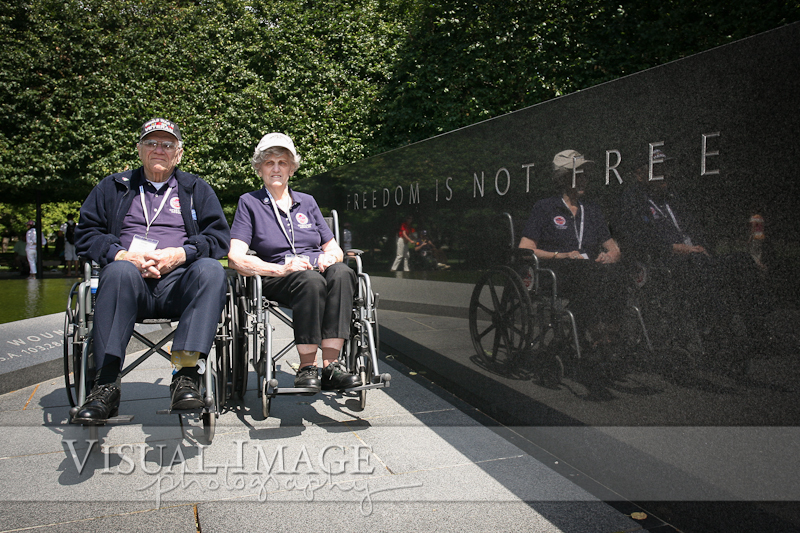 Both of his parents are World War II veterans, and they would be traveling to Washington, DC together to see the WWII Memorial. 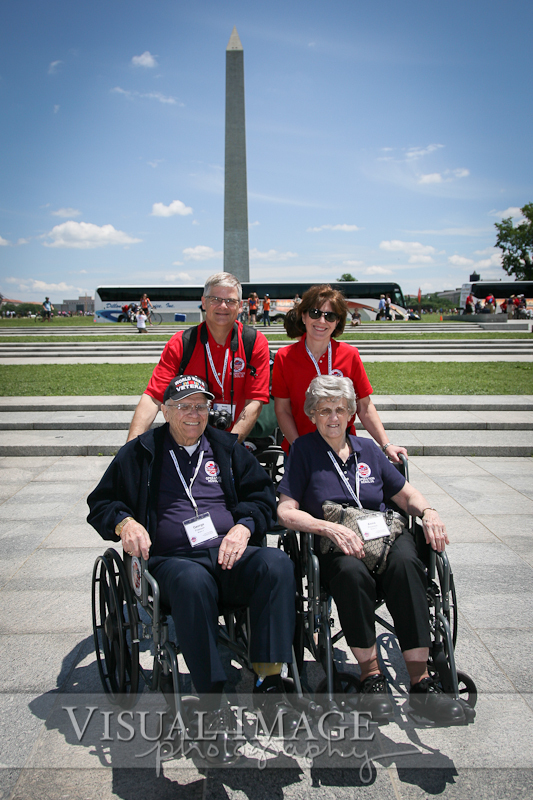 Not only are George and Anna part of the Greatest Generation, they have been married for almost 63 years. 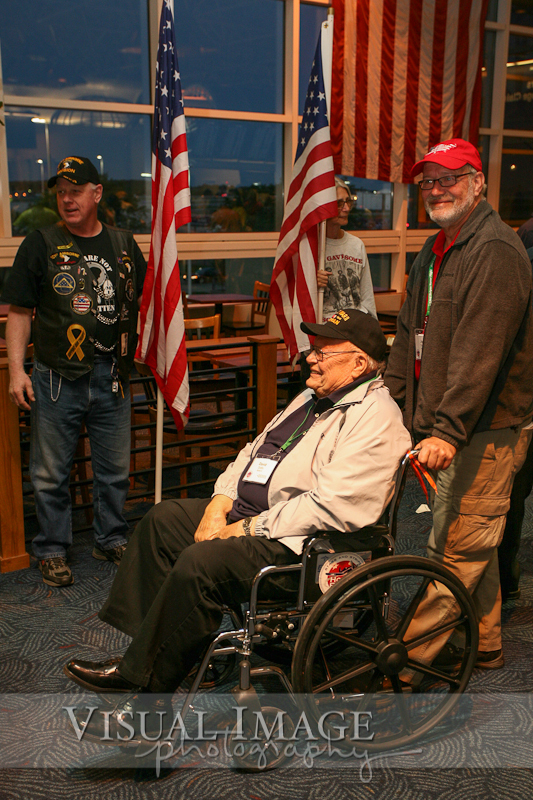 As a tribute to his parents, Randy took the time to write up their life story before he and his wife escorted them on the Honor Flight. 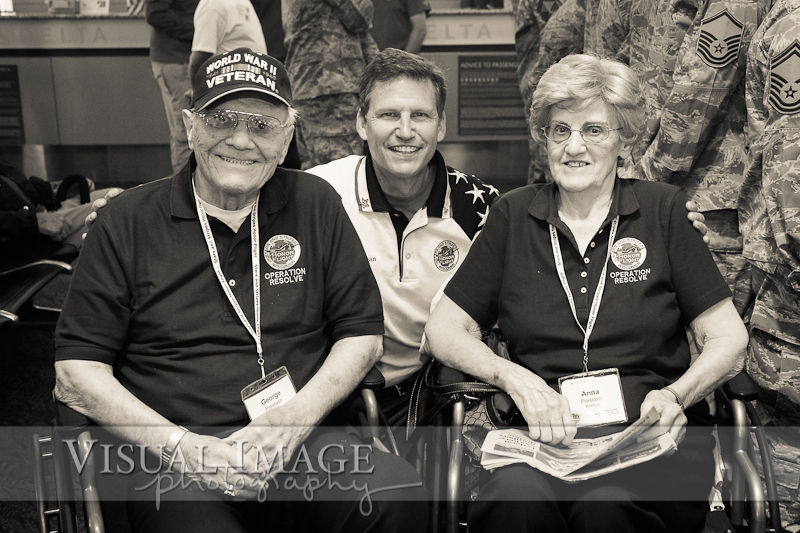 This is an amazing family you can read about as you view some pictures of them from this June's Honor Flight. 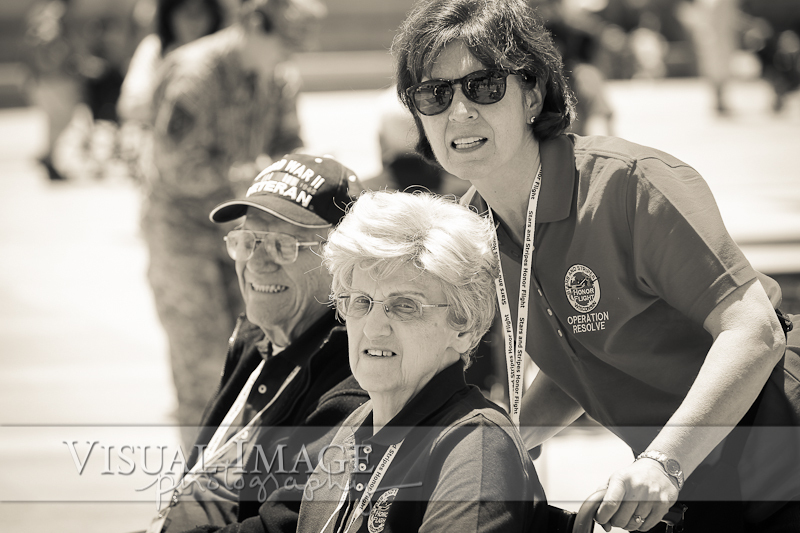 By the way, if you want to see some other amazing stories about the heroes of WWII, as well as their experiences as part of the Stars and Stripes Honor Flight, be sure to order your tickets to the Field of Honor. 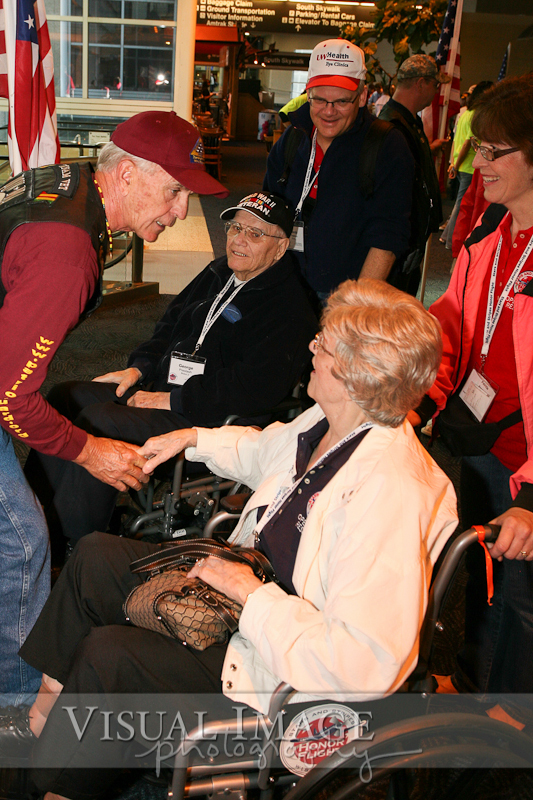 This feature length film, Honor Flight, captures some of the stories of living WWII veterans. Born April 19, 1919, to immigrant parents in the coal mining region of central Pennsylvania, life started on a hardscrabble road with one rough stretch after another. A large family, limited education, and a life working deep in the coal mines was what could be expected of one's future. A father who signed his name with an "X", and a day to day living to keep food on the table, was the duty demanded of a son to help the family survive. After years of coal, dust, rats, and two mine cave ins, nearly losing his life, Dad decided to enlist in the armed forces. 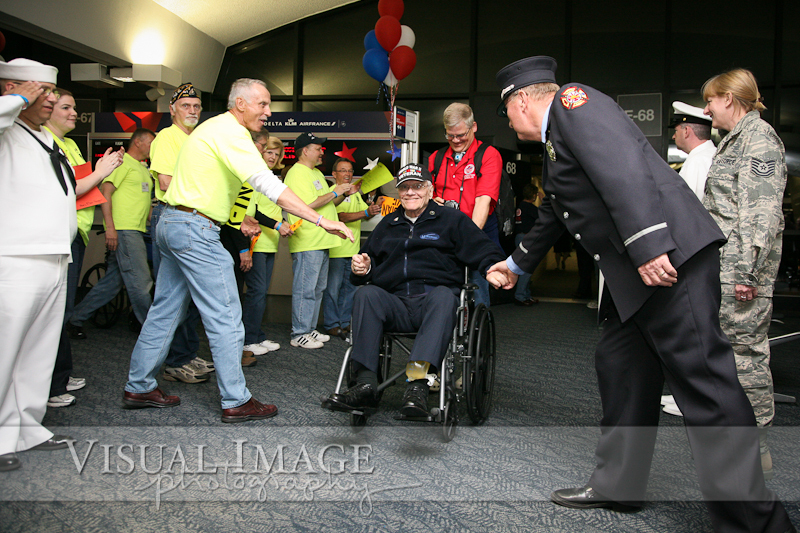 During his time in the Army, he was promoted in rank to Platoon Leader and Staff Sergeant. 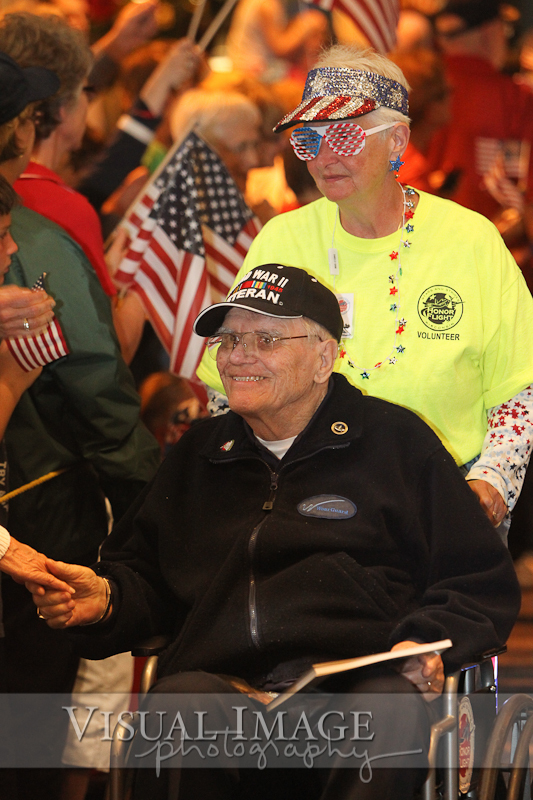 Shortly before his platoon was sent to the Philippines, he endured a grenade explosion that hospitalized him while his troops went overseas. Most of his men were lost at Corregidor and the Bataan Death March. He always felt that he should have "been there" with his men. He understood loyalty and to this day passes on that virtue to his family and friends. 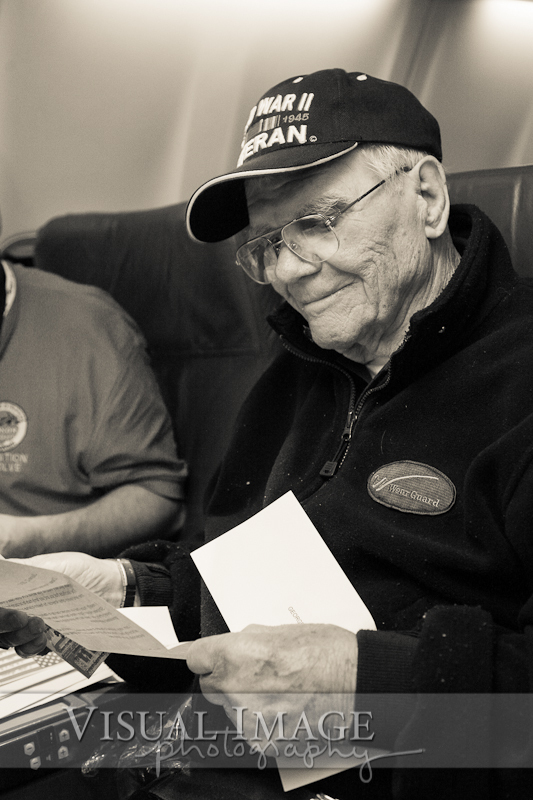 The recovery in the hospital led to other opportunities to serve, and serve he did. From little education, but a strong will to survive and contribute, George believed hard work and faith in God would provide. 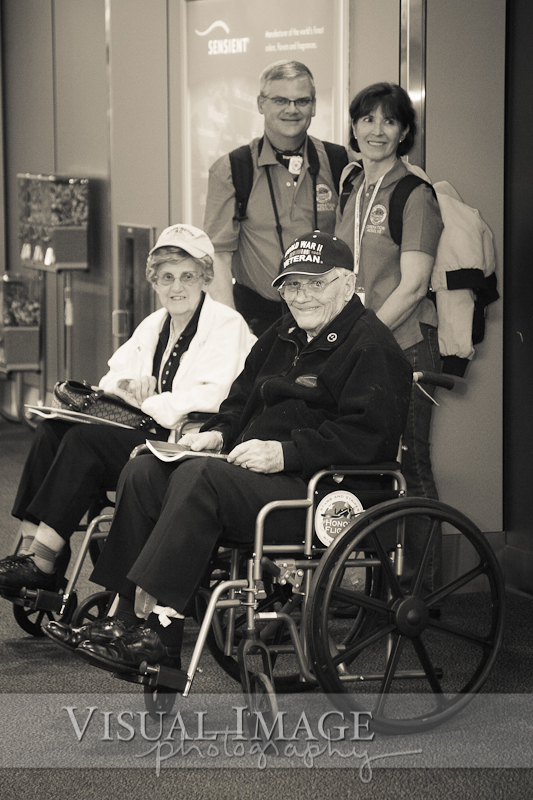 Below, Joe Dean, current president of the Stars and Stripes Honor Flight, poses with George and Anna Prestash before our departure. Born September 25, 1920, to Polish immigrant parents on Chicago's "South Side" in Calumet City, Illinois, my mother, also from a very large family, understood that working hard long days was "what she had to do." Though life was easier than the coal mines of Pennsylvania, being poor, yet proud, always motivated her to achieve and never give up. She was dedicated to her parents, and upon losing her father at age 52, she longed for more in life. 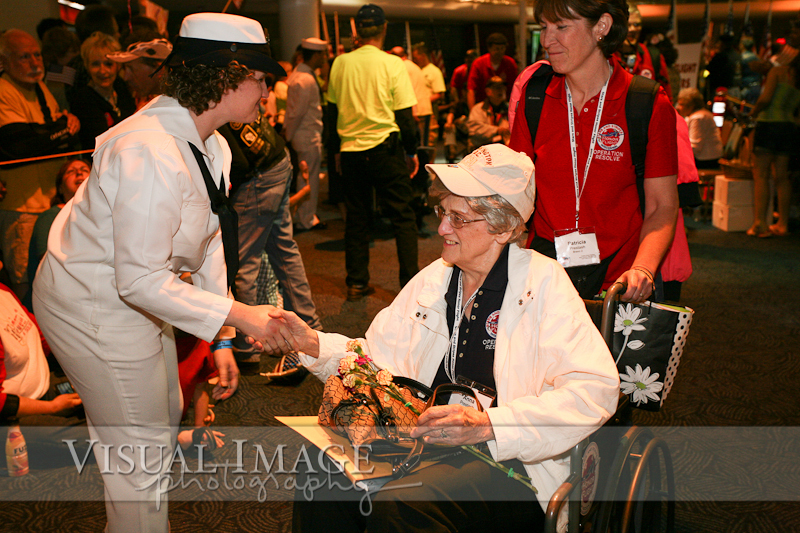 After falling in love with a sailor, who was soon lost in battle when his ship was torpedoed, she decided to enlist into the military service to again, "do her part." That theme has shaped her, our family, and my life in more ways than can ever be explained. 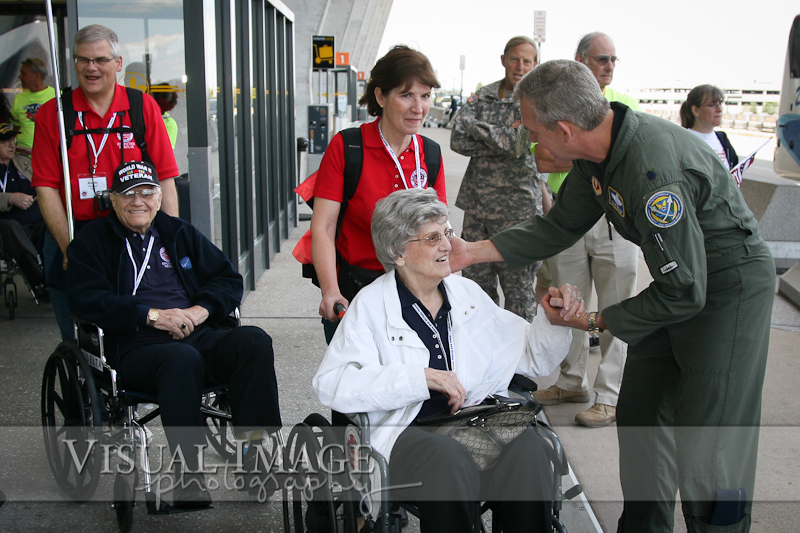 For her, there was no other way, but always "Service beyond Self." With a high aptitude, she was trained and performed her duties with a security clearance as Communications Officer handling sensitive and top secret information from the battlefield to Washington, D.C. While stationed in San Francisco the west coast felt the threat of invasion. Times were very uncertain. Anna stood confident, and continued to persevere with faith that one day things would be better. 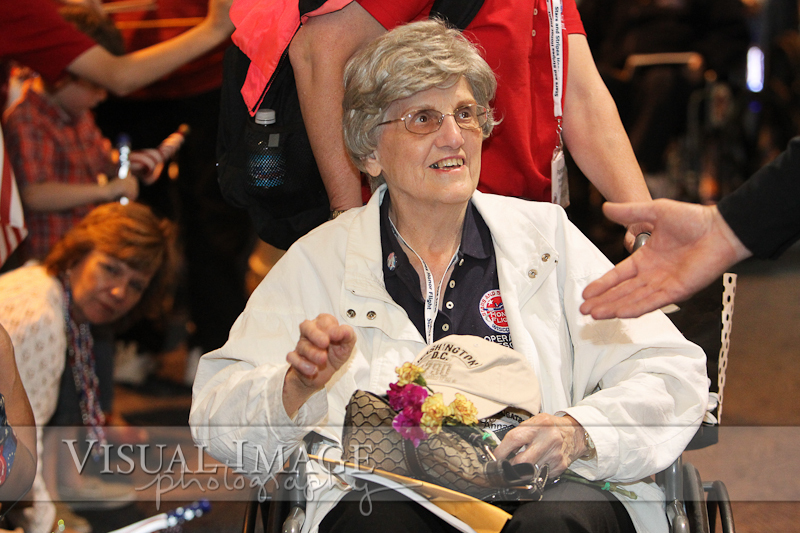 Her indomitable spirit, with love, did win! Their life together was filled with great hope for a new start. George was promoted from Assistant Lab Tech into a training program for Electrocardiogram Tech. He trained at the Heinz VA Hospital in Chicago and succeeded in transfer to the VA Hospital at Wood, WI. He worked there and was promoted to Chief EKG Technician until his retirement in 1976. Life was still not done testing his strength, love, and commitment to his family. Their first child, my sister Pamela, was born with physical and mental disabilities. Less than financially prepared, my parents sacrificed greatly, without complaint. Dad worked two full time jobs and part time on weekends to pay the medical bills. His deep faith, endearing wife, and next a son, Randy, would spur them on to do whatever it took to find a way to a better future. Those dreams did come true. Their story continues...still married after 62 years, they are a rare and wonderful example of what can come from a life of being committed to doing "what is right even when it's not easy." To think that they both realized their "call to duty" and enlisted in the armed services, proudly served their country, went on to marry, raised a family under difficult circumstances, survived cancer, still live relatively independently, and are still smiling, is awesome! 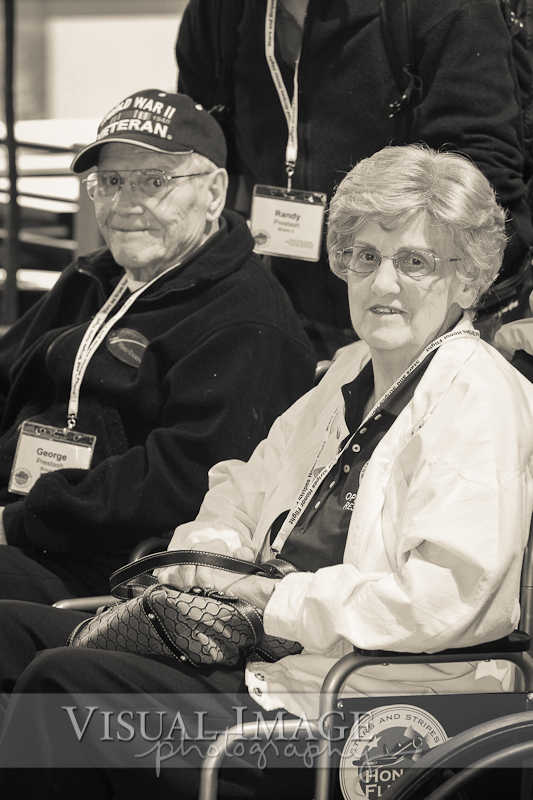 They are two seemingly "simple ordinary people" who have made a profound impact in the lives of so many. They have paid their own way through life, provided care at home for a special needs daughter for over 50 years, owned and paid off the mortgage of a home they could afford, never carried any debt and in fact never owned a credit card! They lived within their means, yet always had something to share with others in need. They pulled themselves up by their own bootstraps and taught me to do the same. Always a smile to offer, but seldom without a lesson to be learned, they continue to shape, inspire, contribute, and influence lives of those fortunate enough to meet them. They believe my many endorsements are "unnecessary" and "over the top" being the humble folks they are. I think differently. I love, admire, respect and will continue to strive to honor my parents, their two long lives, with so many short stories, from two of the "Greatest Generation".